The Centerfielder II (CFII-12/24) balances twin engine charging systems by monitoring the port and starboard voltage regulators. 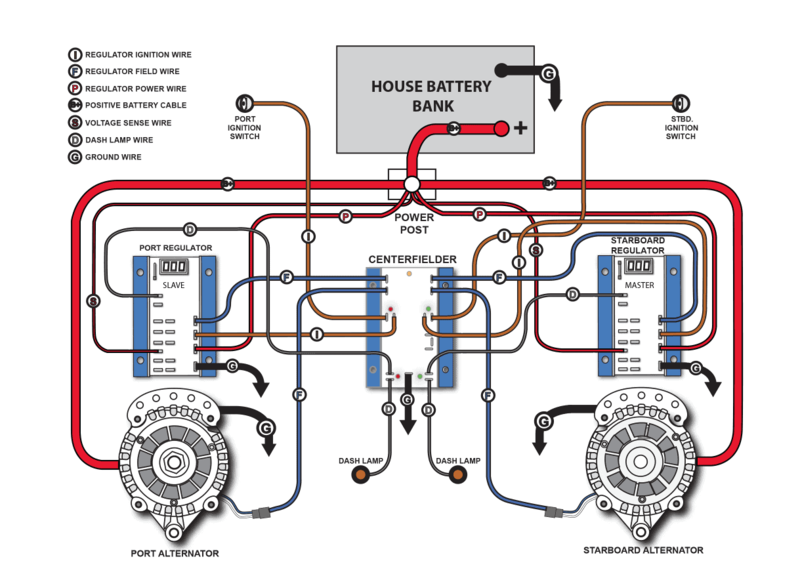 When both alternators and regulators are working, the Centerfielder II automatically designates the starboard regulator as dominant for both alternators – making it possible to charge a single house battery bank with the combined output of both alternators. 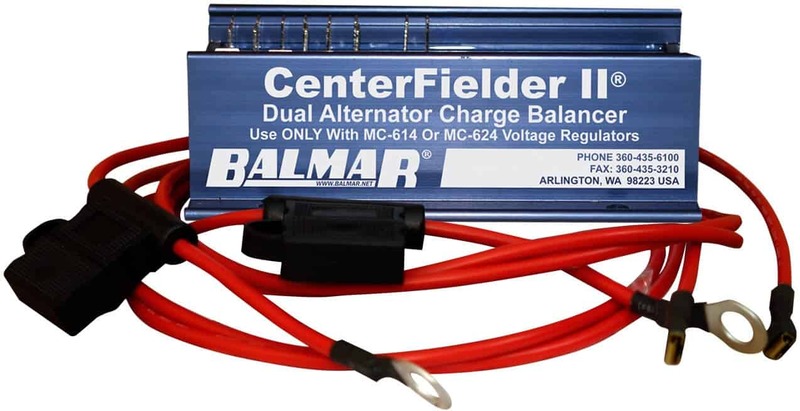 The Centerfielder II eliminates the “yo-yo effect” of two regulators repeatedly turning on and off as the battery approaches target voltage because the two systems are not working in concert. Useful in applications like multihulls and powerboats with twin propulsion motors, the Centerfielder II acts like a referee, ensuring that both port and starboard charging systems work together, rather than compete, to keep a large house battery efficiently charged. The Centerfielder II is designed to work specifically with MC-614 and MC-624 voltage regulators.